Dragon1 Inc. provides you with Service and Support for Dragon1. 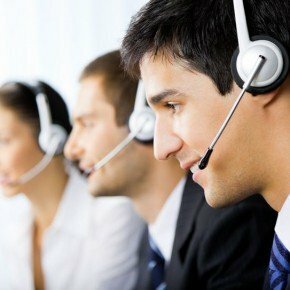 With our Dragon1 Customer Services and Support we provide you with a professional online and human Service Desk and Help Desk for users of Dragon1 as EA Tool, Dragon1 as BPM Tool, Dragon1 as UML Tool, Dragon1 as ArchiMate Tool and Dragon1 as Togaf Tool. To make sure you as user get the support you need in order to make the best possible usage of the Dragon1 Collaboration Platform, we offer you three levels of services. This page of information is aimed at persons like architects, managers and CIOs, that are concerned with the procurement of Dragon1 user licenses. The services that are described here are aimed at clients and users of Dragon1. We are a Netherlands based country with our service desk and want to optimize our contact with you. Below you will find the local hours at which we are available for contact. For more details read the service level descriptions. 1. Bronze – If you make professional usage of Dragon1. 2. Silver – If you make very frequent usage of Dragon1. 3. Gold – If you use Dragon1 for mission critical business. For example if you are a consultancy company offering architecture or project services with Dragon1 to clients. Service Desk (Online Assistance) Availability and Response time The Dragon1 Service Desk is available for online assistance at working days from 09:00 AM tot 5:00 PM via email, SMS, chat, skype/videoconference and phone. You can also submit an Architecture Case (a 2-page description of an Architectural Challenge in your organization) as to find out how you can at best use the Dragon1. Within 4 hours you will be contacted that your question or request was received and being taken care of. Within 2 working days, we will respond to your service request of the question with answers and actions. You have access to trained, skilled and highly qualified personnel that have the right answer to any question at once. In case you run into a problem with the Dragon1 software, you are enabled to administer the incident directly in our online service system. This speeds up finding and solving the problem. Service and support request in this Bronze Service Level may only be related to correct usage of the software tool, where what functionality can be found and what the functionality can be used for. We support you in using Dragon1 Software optimally. Service and support at the Bronze Service Level do not contain services for training and consultancy in the Dragon1 software or the Dragon1 open EA Method. Online Help and Method Wiki 24 x 7 via dragon1.com/help a weekly updated Dragon1 Online Help is provided to you. Also the Dragon1 EA Method Wiki (wiki.dragon1.org)makes al lot of sources and knowledge available to you. Basic User Tool Instruction With the provided Basic User Tool Instruction you can get familiar with Dragon1 at your own pace and in your own time. Continuity (Backup & Restore) Every dag a backup is created of the shared database (SaaS only). We offer you the possibility to restore data from your cabinets of one week ago. Availability Dragon1 is available via https://www.dragon1.com 24 x 7 having only 2 hours of planned maintenance per week. Performance Dragon1 software SaaS is configured to run in a cloud with at minimal 1 vCPU and 4 GB memory. Normally Dragon1 software respond within 3 seconds to user input. Complex tasks can take up to 10 or 20 seconds throughput. Safety and security With SSL, Intruder Detection Lockout, RBAC and ANTI SQL Injection measures taken Dragon1 software offers a safe and secure environment to work with. Responsibility We are responsible for solving and preventing errors in the Dragon1 software. That is why in case of a software problem or software incident report, we start trouble shooting and solving it as quickly and professional as possible to us. Normally we start within one working day with trouble shooting. We are not responsible for direct and indirect issues, problems, failures, defects in computer memory, processor speed, client devices, server devices, network devices, networks, internet and internet connections, application server and software platforms (Windows Server, Apache, IIS etc..) and database server and database management system (SQL Server, Oracle). If we notice problems that are not our responsibility to solve, we will proactively contact the service provider or supplier and also notify you about it as a client. For a list of all activities and maintenance actions that are part of this service level, please consult us. Service Desk (Online Assistance) Availability and Response time 7 days per week you have access to our Dragon1 Service Desk (between 09:00 AM and 5:00 PM). Within 4 hours you will be contacted that your question or request was received and being taken care of. Within 8 hours we will respond to your service request of the question with answers and actions. You have access to trained, skilled and highly qualified personnel that have the right answer to any question at once. We help you proactively (by tracking and tracing) in the creation of useful architecture products in Dragon1 software and we help you to keep your Dragon1 software and data tidied up, consistent and clean. eLearning en Video Conference training In addition to the Basic User Tool Instruction we offer you a Basic User Tool training (via eLearning or Video Conference) in Dragon1 and Dragon1 open EA Method for you to get the most out of Dragon1. Also if you want we compose a Dragon1 learning plan. Continuity (Backup & Restore) Twice a day backups are made. Backups are archived for 1 month. Application log files are monitored proactive. The Gold service level is available to everyone who is in possession of a valid Dragon1 user license (Dragon1 PRO or Dragon1 ENTERPRISE) and has paid the fee for the Gold service level. The fee for Gold will be negotiated with you because the Gold service level is tailor-made. Service Desk (Online Assistance) Availability and Response time 7 days per week you have access to our Dragon1 Service Desk (between 09:00 AM and 5:00 PM). Within 4 hours you will be contacted that your question or request was received and being taken care of. Within 4 hours we will respond to your service request of the question with answers and actions. You have access to trained, skilled and highly qualified personnel that have the right answer to any question at once. We help you proactively (by tracking and tracing) in the creation of useful architecture products in Dragon1 software and we help you to keep your Dragon1 software and data tidied up, consistent and clean. You will be appointed to a personal servicedesk employee that monitors your activity in the software tool on a daily basis. You can view this like your own remote functional systems administrator. Your personal servicedesk employee will contact you proactively if the situation requires this. Also, this servicedesk employee will leave hints, tips and messages behind in the Dragon1 software. For example what the next step would be to take in creating a visual enterprise product. eLearning en Video Conference training In addition to the Basic User Tool Instruction we offer you a Basic User Tool Training (via eLearning or Video Conference) in Dragon1 and Dragon1 open EA Method for you to get the most out of Dragon1. Also if you want we compose a Dragon1 learning plan and an action plan to setup and create an architecture baseline and keep it up to date. Continuity (Backup & Restore) Every hour backups are made. Backups are archived for 1 month. Application log files are monitored proactively.